The Pacific Northwest's already abbreviated winter season is quickly melting away, setting the stage for another gorgeous spring. The Portland area received some snow and ice in January, but the roads were back to normal by the next day's rush-hour commute, and locals haven't fretted over freezing temperatures since. Flowers are beginning to bloom, birds are once again chirping, and most of us have put our chains away for another year. In other words, winter in Portland is on its last legs. But that doesn't mean you can't enjoy one last gasp of cold-weather adventure before putting away your skis, snowshoes, and splitboard for the season. Here are 10 ideas on where and how to find winter and seasonal fun—or where to get excited for spring—while the snow still lingers. 1. Snowshoe in the shadow of Mount Hood. 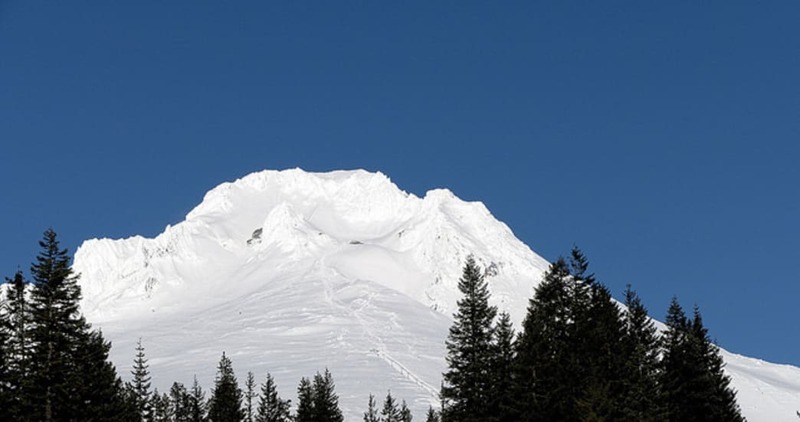 We may not have snow in the low-lying regions, but Mount Hood remains an enjoyable wintertime destination after another round of recent snowfall. It's a stark contrast to winter 2017-2018, when snowpack around Oregon's most iconic peak hovered around record-low numbers. 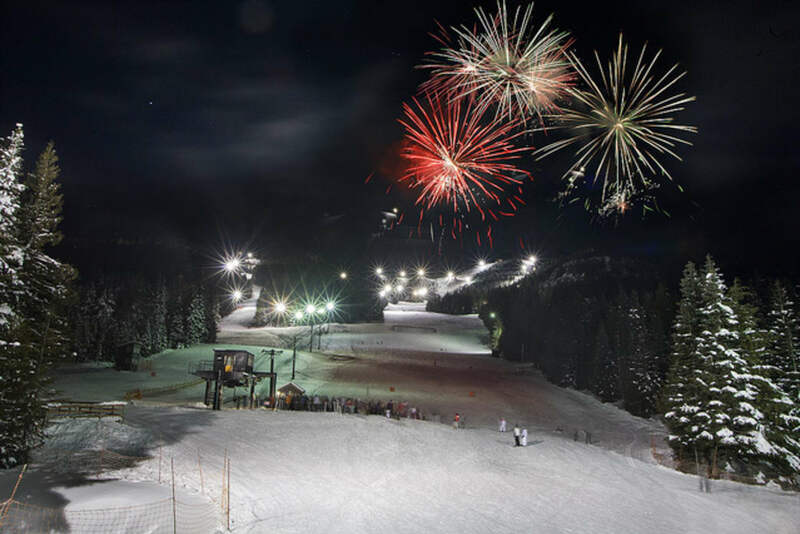 This winter, however, snowpack has consistently been near or above 100 percent of normal, and the winter sports season that started early shows no signs of slowing down. Heading up to the mountain? Take a snowshoeing trip on the Cross Country Trail. Also popular with cross-country skiers, the trail takes adventurers from one side of Government Camp to the other, with views of snow-capped trees, roughly 1,000 feet of elevation gain, and a quiet respite from nearby traffic. And unless you're on the slopes, the view of Mount Hood are hard to beat. 2. Take a trip to Trillium Lake. 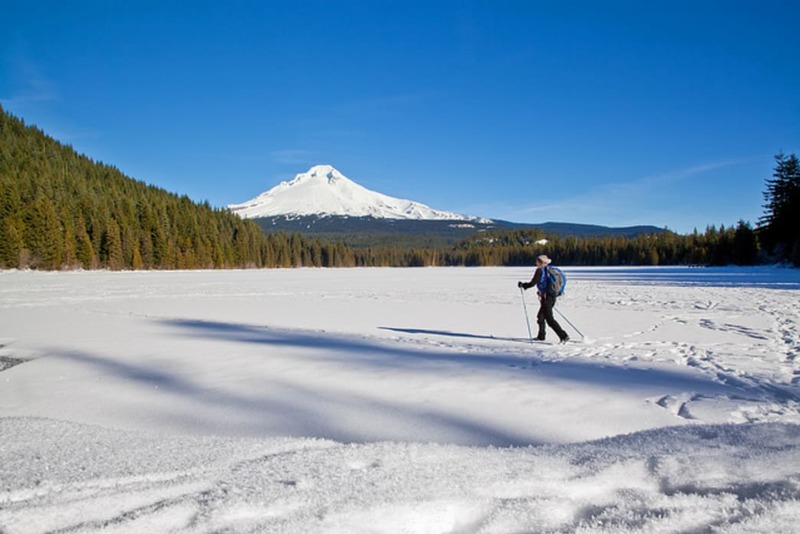 Trillium Lake, with rolling hills and a manageable, five-mile loop, is popular with snowshoers and cross-country skiers (as long as there's snow on the ground, of course). 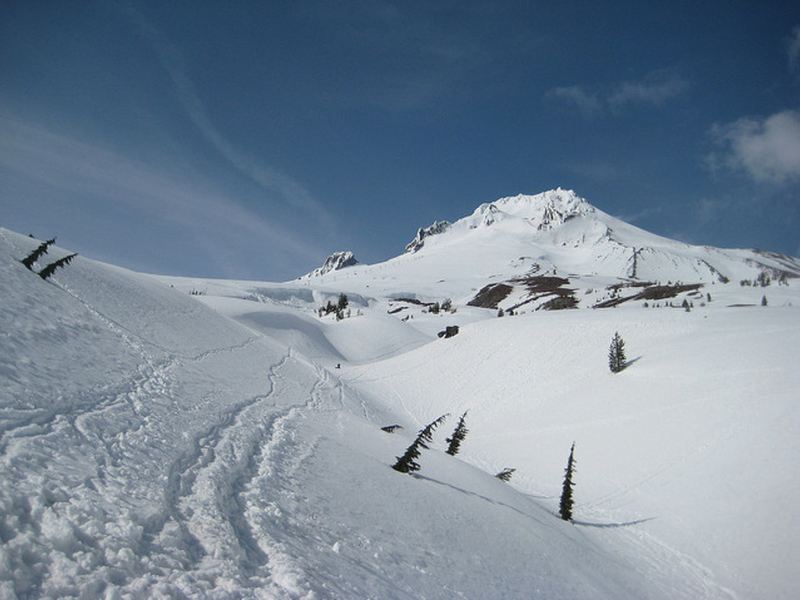 You'll enjoy a gradual descent on your way to the lake (which means you'll end the trip with an unbearable uphill slog), gentle hills throughout, snow-covered forests, and impressive views of Mount Hood from the banks of a frozen lake. The trail's popularity means that you'll rarely have it to yourself, but cross-country skiers will appreciate groomed tracks that make the trek easier. 3. Go cosmic tubing at Mt. Hood Ski Bowl. What do you do if you've put away your skis and snowshoes but are still craving some fun in the snow? Indulge your inner eight-year-old and go cosmic tubing at Mt. Hood Ski Bowl. Once the sun goes down, the course comes alive with more than 600,000 LED lights, laser light shows, black lights, music, and more. Roughly a dozen groomed lanes help tubers get up to speed, and a specialized conveyor lift eliminates the need to trudge your tube to the top of the slopes. 4. 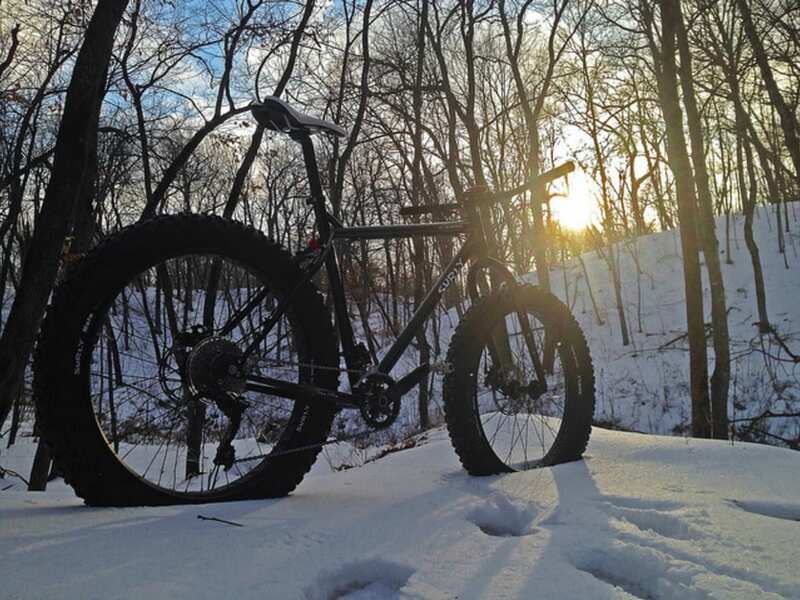 Hop on your fat bike. Every spring and summer, Opal Creek hosts hikers from throughout the state, drawn to the dense forest's lush scenery, popular swimming holes, and scattershot displays of old mining equipment. Exploring the region by fat bike offers riders a glimpse of Oregon’s past, back before craft beer and tech start-ups supplanted logging and mining as economic forces throughout the state. Take the wide, smooth trail from the gate at the trailhead to Jawbone Flats, an abandoned mining town that continues to draw visitors today. It's an easy downhill ride on the way there, though the gentle grade won't wear you out on the return trip. 5. Make the most of those sun breaks. A solid recommendation: Powell Butte Nature Park. 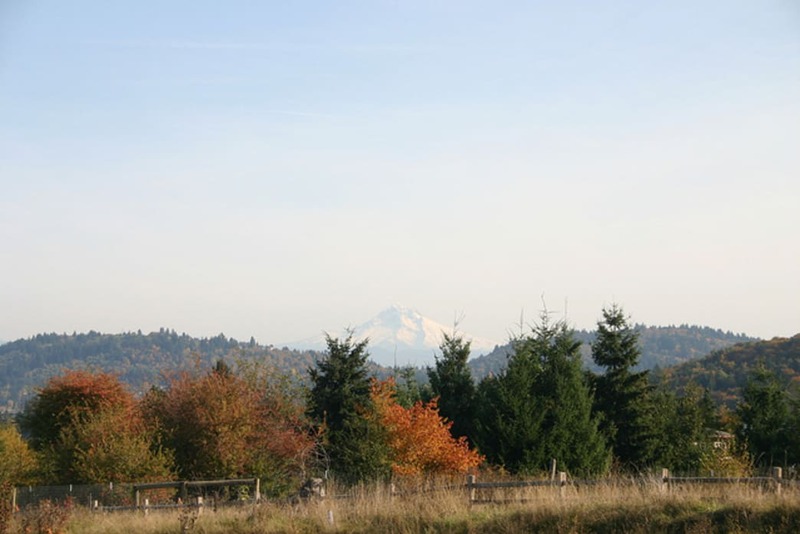 The 600-acre park in southeast Portland, located on an extinct volcano, delivers views of Mount Hood and Mount St. Helens, lush forests, wide open meadows, and a fair, gentle grade. A quick 3.3-mile loop makes it easy to avoid the rain and enjoy a outing—at least, as long as Mother Nature cooperates. 6. And embrace the inevitable rain. We didn’t see much snow around Portland this season, but it’s been among the wettest winters on record. So if you’re going to play outside and get wet, you might as well embrace the sogginess. A kayaking trip around Ross Island should do the trick. 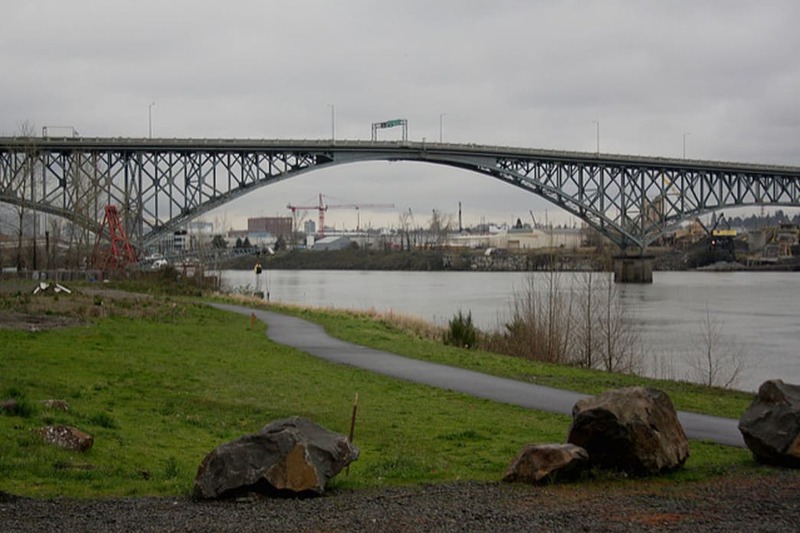 The convenient trip offers a mix of beautiful downtown Portland views (when not obscured by rain clouds, that is), a wide variety of wildlife (more than 100 species of bird stop at the island during migration), and quiet coves that feel far removed from the rush of the city. 7. If the weather is really bad, dig into the Portland food scene. Star the day right with coffee at Saint Honore Boulangerie, which serves a variety of breakfast sandwiches and mouthwatering French pastries. 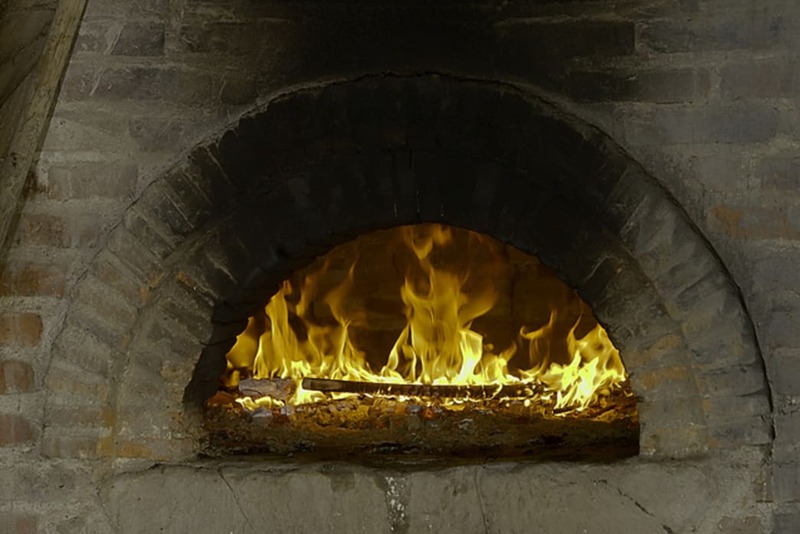 Take a road trip to Backwoods Brewing Company in the Columbia River Gorge, which dishes several filling pizzas and a dazzling array of craft beer. Nosh on fresh, local fare from Meriweather’s Restaurant, which serves flavorful, healthy meals harvested from its farm in Forest Park. 8. Stretch your legs with a warm-up hike. Spring will be here before we know it, and warmer weather brings with it new opportunities for tougher, more strenuous hikes. Which means that a trip out to Angel's Rest is a timely way to get into shape for spring hiking. 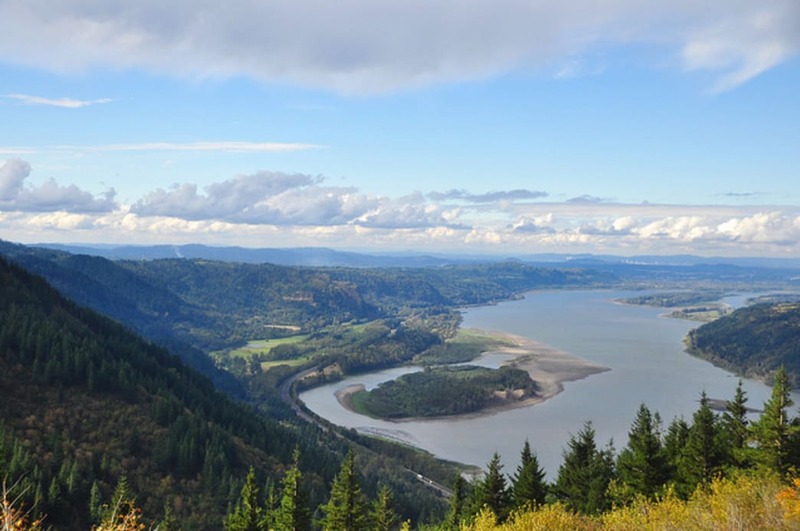 Whereas some of the Columbia River Gorge's higher peaks are still covered in snow, Angel's Rest hosts hikers year-round and boasts an elevation gain that tops 1,500 feet. Hikers will experience old-growth forest, a small rock scramble, and the charred remnants of a 1991 forest fire en route to the top, which offers 270-degree views of the Gorge—easily one of the most scenic summits in the region. 9. Get into serious climbing shape. The rockhounds out there might be itching to climb Beacon Rock , Broughton Bluff , Ozone Wall , and any number of crags around Portland, but the wet and windy weather of winter makes that difficult. Fortunately, Portland hosts a number of indoor climbing gyms to scratch your rock-climbing itch. 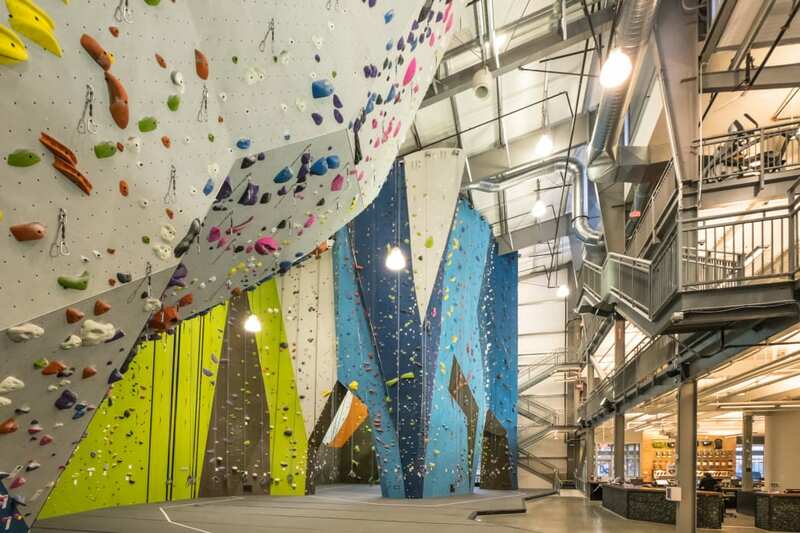 Such facilities provide tall, graded climbing walls; thousands of boulder problems; and innumerable routes, cracks, slabs, features, and overhanging terrain. Whether you're climbing for the first time or want to prepare for a challenging route at Smith Rock, you're sure to find the right gym for your experience and skill level. 10. Get ready to spring forward. Maybe you don’t feel like trudging up to the mountains or weathering the rain. 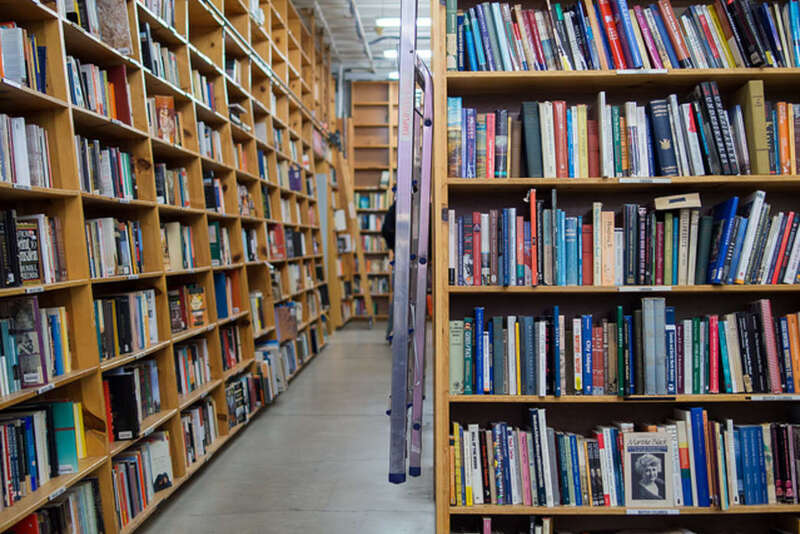 Instead, spend a day in town and get lost inside Powell’s City of Books , where you'll find inspiration for spring and summertime adventures. Whether you stock up on guidebooks from the travel section, get lost in fiction titles set around Oregon, or stumble upon an unexpected book (a routine byproduct of visiting the behemoth store, which takes up a full city block), you’ll be ready for spring in no time (and speaking of time, make sure to set those clocks ahead by one hour at 2 am on Sunday, March 13).